The field of antique doll collecting is fun and exciting. But people hesitate to buy an antique doll because sometimes they seem so expensive. After all, dolls are just toys, aren’t they? Come to this Explore and Expand seminar and find out about antique dolls. 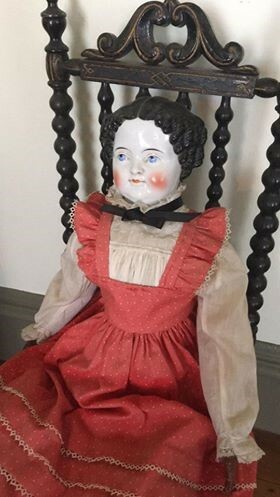 Find out how you can tell if a doll is really antique or a reproduction, learn to identify the age of the doll, learn how antique dolls were made and why French dolls are more expensive than German Dolls. Also learn what the terms used with antique doll identification mean such as bisque, china, composition, and celluloid. The author will share dolls from her own collection. Feel free to bring your questions and your own old doll as well. Call to register: 845-565-2076 or register by email desmondcampus@msmc.edu. Go to their website and look at all the classes, lectures and trips the Desmond Center has. This is an absolutely gem for people in the Hudson Valley. I am happy to be part of their series.